PortoEvents is a DMC in Porto and organises a wide variety of events in and around the unforgettable city of Porto in northern Portugal. Porto is one of Europe’s less well known gems – a beautiful, historic city nestling on the banks of the river Douro and the home of Port Wine. With a population of around 200,000 people, Porto is not a big city, but the intimacy it generates is its greatest charm. At PortoEvents we work with the unique charms of the city to run events with charisma to contrast with the anonymity that big hotels in big cities can have. Porto is extremely well equipped to run small and medium sized events with a range of locations for bigger conferences and trade fairs such as Exponorte, Alfandega Congress Centre and the nearby Europarque and then a host of mid-sized venues with idiosyncratic charm, such as the Palácio da Bolsa and the Palácio Cristal and then a broad array of charming hotels and unusual locations (particularly those associated with the Port Wine industry). We are a small team of Portuguese and British staff and our focus is all about offering creative and original bespoke packages for our clients. We know that often what makes an event really work is the attention to detail and unexpected surprises. Why not challenge us to come up with something unique for your event! We are a Portuguese registered travel agent (license no. RNAVT 3635) and event organiser (license no. RNAAT 68/2006) and payments we receive for reservations are covered by the Travel Agent Guarantee Fund (FGVT). 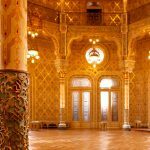 So if you are looking for a blockbuster event, then Porto may not be for you, but if you want charisma, intimacy and warmth(at very competitive prices) then Porto is the place! PortoEvents is all about harnessing the best that Porto has to offer and making it work for your requirements – we offer a full DMC service for Porto and northern Portugal from total event management to booking meeting rooms, from full scale tours to airport pickups. We are a small and youthful team united in our passion for Porto and all it has to offer. Porto has been hidden away for too long and it is time for us to share it with the world. 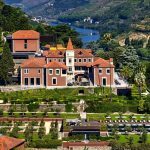 PortoEvents – fall in love with Porto with us! Copyrights © 2018. PortoEvents. All Rights Reserved.